Finnish record label Tum has just released Ancestors by Wadada Leo Smith and Louis Moholo-Moholo, their first recording together, and for anyone who caught Wadada’s recent Cafe Oto shows a further appetising glimpse of an artist who is clearly in the middle of a fertile period artistically here in intimate duo with Moholo-Moholo, one of the abiding heroes of the 1970s-era UK and London improvisers who were inspired by the South African Blue Notes during the anti-apartheid era. 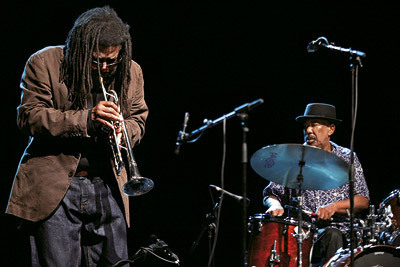 Wadada Leo Smith has worked in duo with many drummers, most notably Ed Blackwell and Jack DeJohnette, while Moholo-Moholo’s playing partners over the years in this format have included Cecil Taylor and Keith Tippett. The new album, a beauty, has five tracks, two written by Smith, two by Moholo-Moholo and Smith together and one, ‘Siholaro’, by Moholo-Moholo just by himself dedicated to his late father. 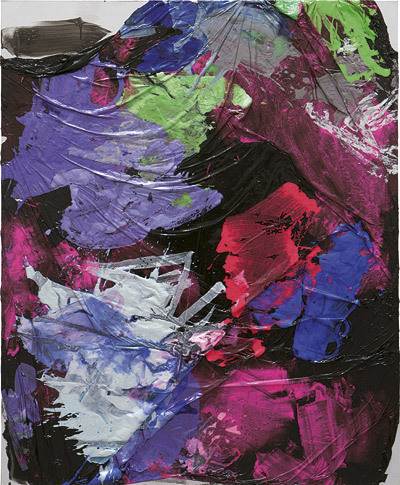 At just under half the album’s length title track ‘Ancestors’ is a five-part suite that stands as the most thought provoking element of a genuinely thought-provoking album one that retains the unique ability to unify uncompromising aesthetic considerations, a sense of history and cultural context, to then combine these aspects with lucid interaction and the creative impulse.